Bring amazing relaxation into your home with this reclining loveseat's gorgeous microfiber upholstery and masterful American craftsmanship. Get it TODAY, with Gallery Furniture's amazing, same-day delivery service! 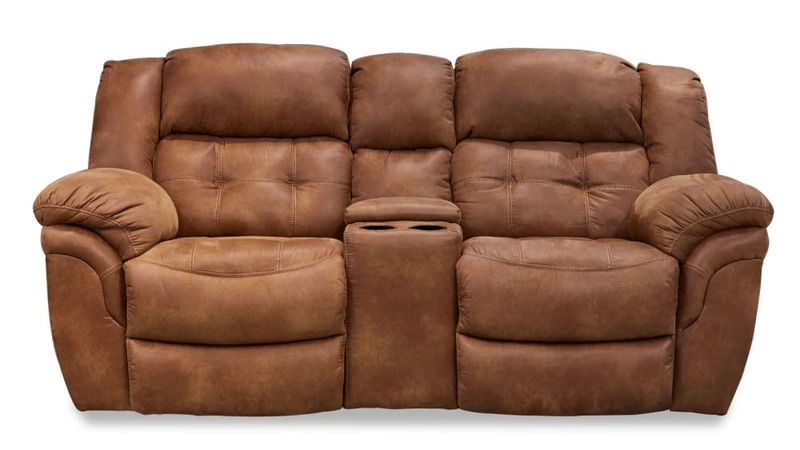 Gorgeous, tufted microfiber upholstery feels like leather, but without the cost. 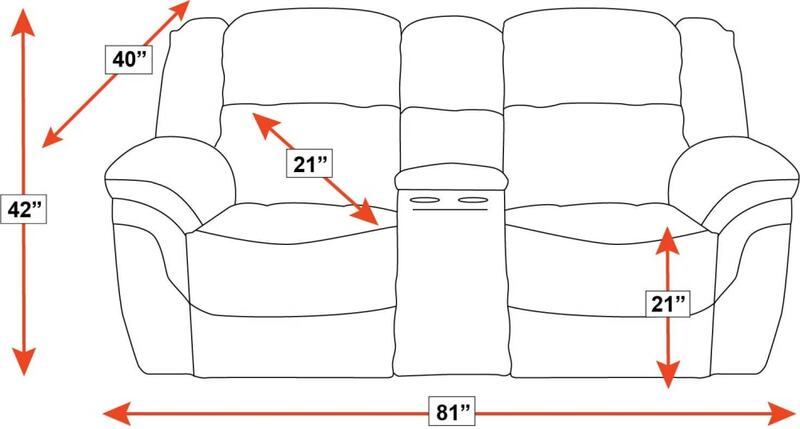 Plush cushioning will give you an outstanding sitting experience. Excellent, convenient reclining options will make this loveseat the most popular spot in your home. Cupholders and console storage provide even more convenience.